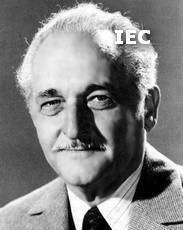 Born: 22 October 1912, Merced, Calif., USA, as Philip H. Lathrop. Died: 12 April 1995, Los Angeles, Calif., USA. 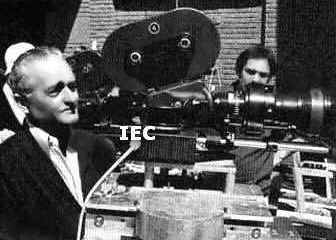 Career: Entered the industry in 1934 as film loader in the camera department at Universal Studios. In 1938 he became 2nd asst working with doph Joseph Valentine. Became c.op working with doph Russell Metty for 9 years. 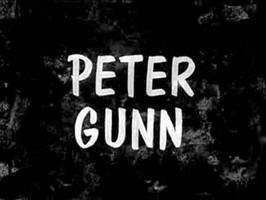 Became doph in 1957 shooting live-action seq at Walter Lantz' animation studio. 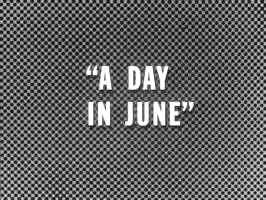 Awards: 'Oscar' AA nom [1964; b&w] for 'The Americanization of Emily'; 'Oscar' AA nom  for 'Earthquake'; 'Emmy' Award nom  for 'Celebrity' [part III]; 'Emmy' Award  for 'Malice in Wonderland'; 'Emmy' Award nom  for 'Picking Up the Pieces'; 'Emmy' Award  & ASC Award  for 'Christmas Snow'; 'Emmy' Award nom  & ASC Award  for 'Little Girl Lost'; ASC Lifetime Achievement Award ; SOC Award [1999; posthumously] for the opening scene of 'Touch of Evil'. 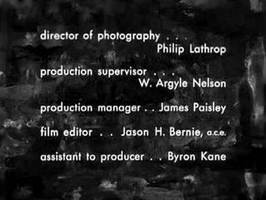 Philip H. Lathrop began his career as camera operator on the Irving Reis film 'All My Sons', working with cinematographer Russell Metty as he did ten years later on Orson Welles's 'A Touch of Evil'. 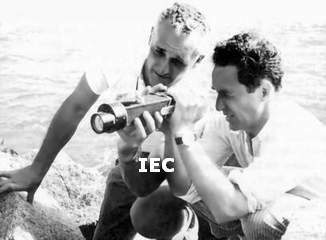 The two pictures, in particular the film which marked Welles's return to Hollywood in 1957, proved a valuable training ground for Lathrop, whose own career as a director of photography took off in the same year. 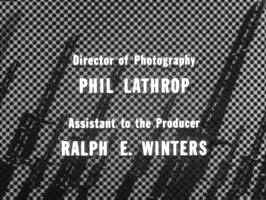 In his long career, Lathrop developed a reputation for his detailed approach to lighting and camera placement, and for his skill with widescreen technology in beautifully photographed films such as Blake Edwards's 'The Pink Panther' . Lathrop worked several times with Edwards, and the reliable, though not always very inspiring films on which they collaborated are notable for the quality of their photography. 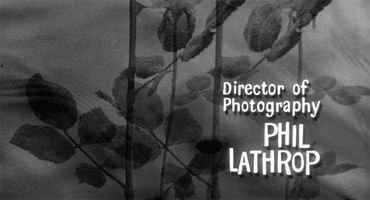 Lathrop's most impressive work as a cinematographer came in the 1960s. 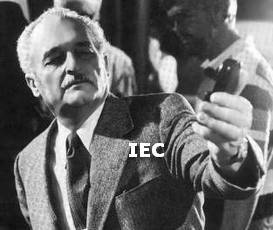 His particular visual style seemed to epitomize the times, giving a glossy, dense feel to tough films like John Boorman's excellent thriller, 'Point Blank', and a dreamy atmosphere to strange comic offerings like 'The Americanization of Emily', for which he received an Oscar nomination. 'The Cincinnati Kid', which stars Edward G. Robinson and Steve McQueen as opposing poker players 'The Man' and 'The Kid', displays Lathrop's skills at their best, creating a shiny, disconcerting surface to the images that is not unlike the 'Photorealist' paintings that became popular at the same time. 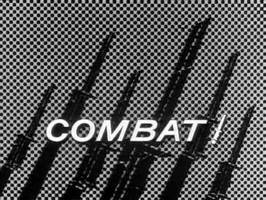 Ten years later, Lathrop's style gave an air of quality to films at the end of their era, such as Sam Peckinpah's 'The Killer Elite'. Lathrop went on to be involved in several well-regarded projects, yet in the 1970s most of his work was on films that have since come to embody Hollywood's shortcomings in that period. Commercial movies such as the 'Airport' series of films, and disaster movies such as 'Earthquake' [for which Lathrop received his second Oscar nomination] almost became parodies of themselves with their ever more improbable story lines and predictable dramatic twists. 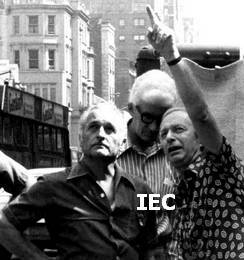 [Left] with dir Elliot Silverstein - "The Happening"
[Left] with Ernest Lehman [pointing] "Portnoy's Complaint"
Together Brothers [William A. Graham] c; cph: Charles Rosher Jr.
Rawhide [ep #1 'Incident of the Tumbleweed Wagon' dir by Richard Whorf (RW), #2 'Incident at Alabaster Plain' dir by RW, #3 'Incident with an Executioner' dir by Charles Marquis Warren (CMW), #4 'Incident of the Widowed Dove' dir by Ted Post (TP), #5 'Incident on the Edge of Madness' dir by Andrew V. McLaglen (AVM), #6 'Incident of the Power and the Plow' dir by AVM, #8 'Incident West of Lano' dir by CMW, #9 'Incident of the Town in Terror' dir by TP & #10 'Incident of the Golden Calf' dir by Jesse Hibbs] 217-part western series/b&w, 1959-66 (CBS-tv); 1st season, 1959; other ph: John M. Nickolaus Jr.
Perry Mason [ep #4.23 'The Case of the Torrid Tapestry' dir by John English & #4.24 'The Case of the Violent Vest' dir by Lewis Allen] 271-part lawyer series/b&w, 1957-66 (CBS-tv); 4th season, 1960-61; other ph: Robert Hager, Frank Redman, John M. Nickolaus Jr., a.o. 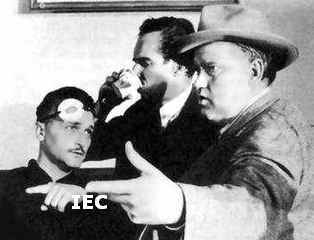 P. Lathrop - Charlton Heston - Orson Welles - "Touch of Evil"